Quick Look is one of the handiest features in macOS: click on any file and press the space bar, and voilà! An instant preview of its contents pops up. The best that Windows can do is display thumbnails – but with a new app, you can replicate Quick Look on your PC for free. Simply download and install QuickLook from the Microsoft Store, and you’re good to go. 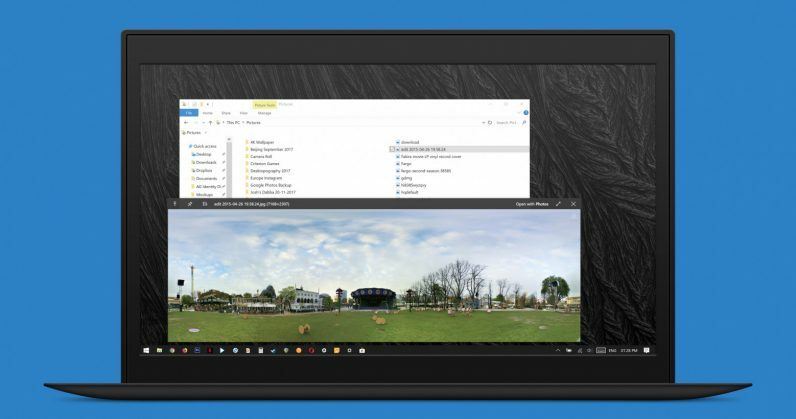 The next time you open up File Explorer, click on a file and hit Space to preview it. The app works with images, PDFs, videos, PSDs, and MP3s to quickly show you their contents; it can also show you what’s inside ZIP files. In addition, QuickLook’s pop-up windows include a button to open up your selected file in the default app that’s best suited for that file type. It also lets you scroll through previews of every file in a folder with your arrow keys. As someone who routinely works with all kinds of documents, photographs, and poorly labeled zip files from several email contacts a day, this app is a godsend. Find QuickLook in the Microsoft Store.